What are your daily hire charges? Our prices vary throughout the seasons. For up to date pricing and availability please use our secure on-line quotation system available on our website. Alternatively please do not hesitate to contact us on 01692 538948 where we will be happy to help. A minimum hire period of 4 days applies throughout the year increasing to 7 days throughout July and August. Capricorn Campers reserves the right to increase the minimum hire period for certain events such as Christmas, Glastonbury and some sporting events. For further details please contact the office. Fully comprehensive UK/European insurance for 1 named driver - Unlimited mileage - 24 hr UK/European breakdown assistance - DART- Tag All of our vehicles are registered with the Dartford Crossing meaning you are able to travel through without having to pay for a crossing - VAT. For a full list of what is included with your motorhome please refer to question 16. Do you need a special licence to be able to drive the motorhome? No, all of our vehicles are below 3.5 tonne and can therefore be driven under a normal car licence. You must have a manual licence if you are hiring a manual Motorhome. Are there age restrictions on who can drive your motorhomes? Yes, we can insure drivers aged between 25-75 who have held a full licence for more than 2 years. We may be able to insure drivers between 23-25 and those over 75 but please contact the office for more detail. Can I drive with points on my licence? Capricorn Campers can accept drivers with two, three point convictions ( sp30’s , ts10’s, cu80’s) For more than two, three point convictions please contact us so that we can make a referral to our insurance company. Please refer to our terms and conditions for full details on driver/licence requirements. How many drivers can we have per vehicle? You can have up to 3 drivers per vehicle. The cost for the main driver is included within the hire, any additional drivers will be charged an additional £25. There is a refundable £750.00 insurance excess security deposit (£1,000 for Europe) payable by credit card or debit card at the time of collection. This must be paid using a card in the name of the main driver. This covers the insurance excess and any damages/breakages which occur whilst you are on hire. Collision Damage Waiver insurance is available to reduce the excess by 50% to £375 (£500 for Europe). An additional £250 deposit is required for non UK licence holders, festivals & Sporting events. The insurance excess is £750 (£1000 for European travel). However, Collision Damage Waiver insurance is available to reduce the excess by 50% to £375 (£500 for Europe). For full details on CDW please refer to our terms & conditions which can be found on our website. Bookings can be made through our secure online booking system or alternatively if you prefer to arrange in person by all means give us a call on 01692 538948 where we will be happy to help. There is an admin fee of £45 payable on all cancellations. Cancellations made at least 6 weeks before the due hire date; 20% of the total hire charge is non refundable. Cancellations made 6 weeks - 4 weeks before the due hire date; 50% of the total hire charge is non refundable. Any cancellations made 4 weeks - no show 100% of the total hire charge is nor refundable. In certain circumstances we may be able to transfer money from one hire to another. I have never done this before will I be shown how to use the motorhome? Yes, we recommend that you allow an hour for the handover. During this time we will provide you with a detailed demonstration on the various functions and facilities of your motorhome. We encourage you to ask questions as we want you to leave feeling happy and confident with how to operate your motorhome. Each vehicle has its own manual on board for you to refer to should you need to and failing that we are only a phone call away. What do I need to bring with me when i collect the motorhome? All drivers MUST be present upon collection. You will need to bring with you your full driving licence, a credit/debit card for payment of the refundable security deposit and 2 forms of proof of your home address; This can be a bank statement, utility bill or credit card statement. As standard we can arrange for collections/returns any time between 10am - 3pm. If you require an out of hours collection/return this can be arranged for an additional fee of £20. Can I leave my car with Capricorn Campers? Yes, you can leave your car at our Norwich collection point free of charge. 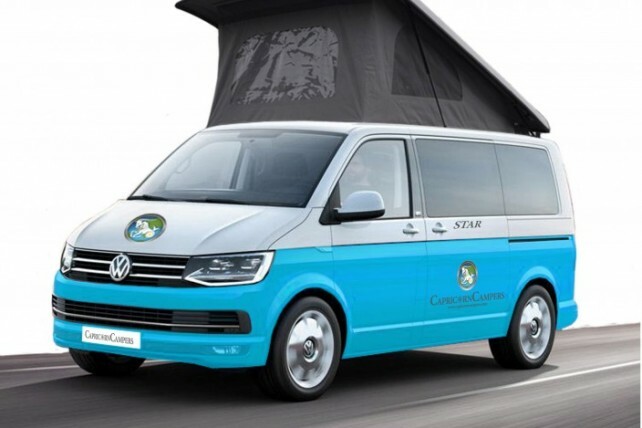 For Ebbsfleet and Airport collections Capricorn Campers can not offer any parking facilities. Yes, pets are allowed in most of our motorhomes at no extra cost. Please contact us directly to arrange a booking if you are taking along your four legged friend. Pets are NOT to be left in the motorhome unattended and we just ask that you bring some blankets to cover the soft furnishings. Can I take the motorhome on a ferry? Yes, the company you book through will just usually ask for the registration number and length of vehicle. What is your membership number to the Camping and Caravanning club?